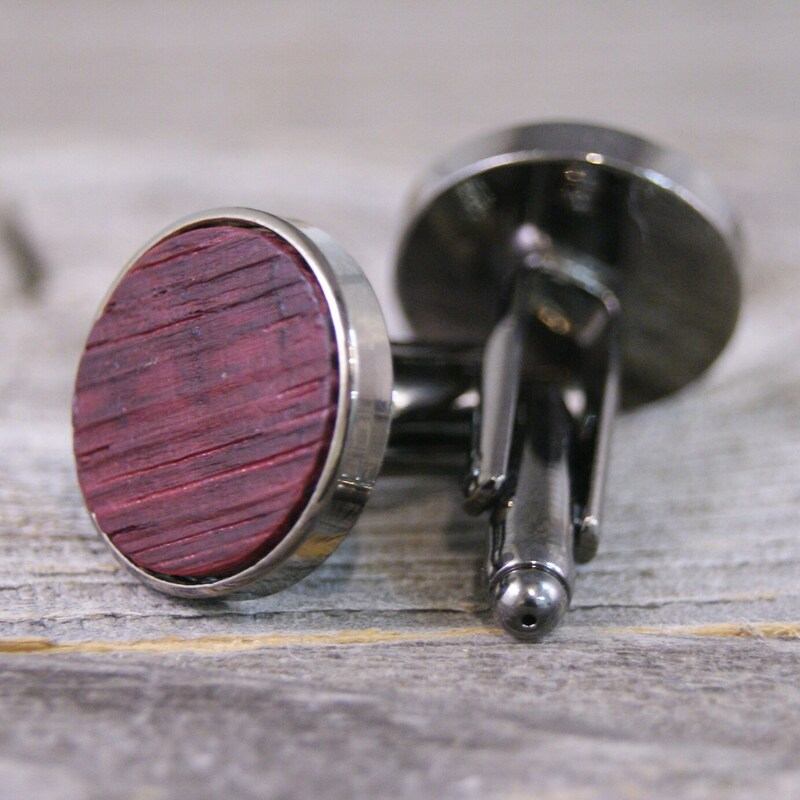 Perfect for the wine lover, these cufflinks are hand crafted from a White Oak stave from a French wine barrel, leaving the wine-soaked and naturally wine-dyed texture on display. While the wax finish seals in the aroma, the smell of cabernet permeated my workshop while crafting them. 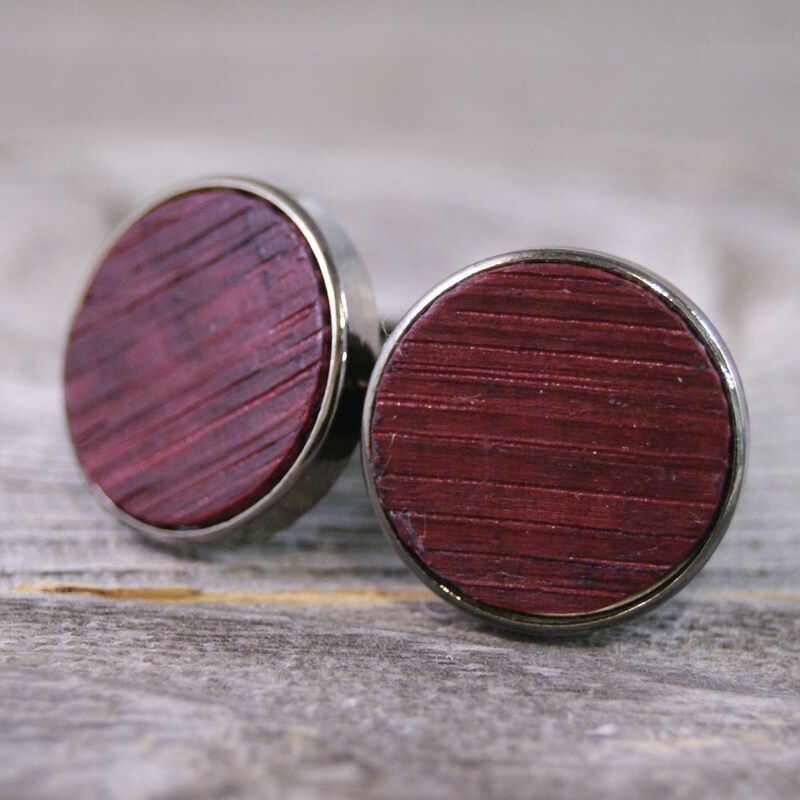 Each pair is made one a time by me, by hand, in my home shop. They measure 1/2" in diameter. 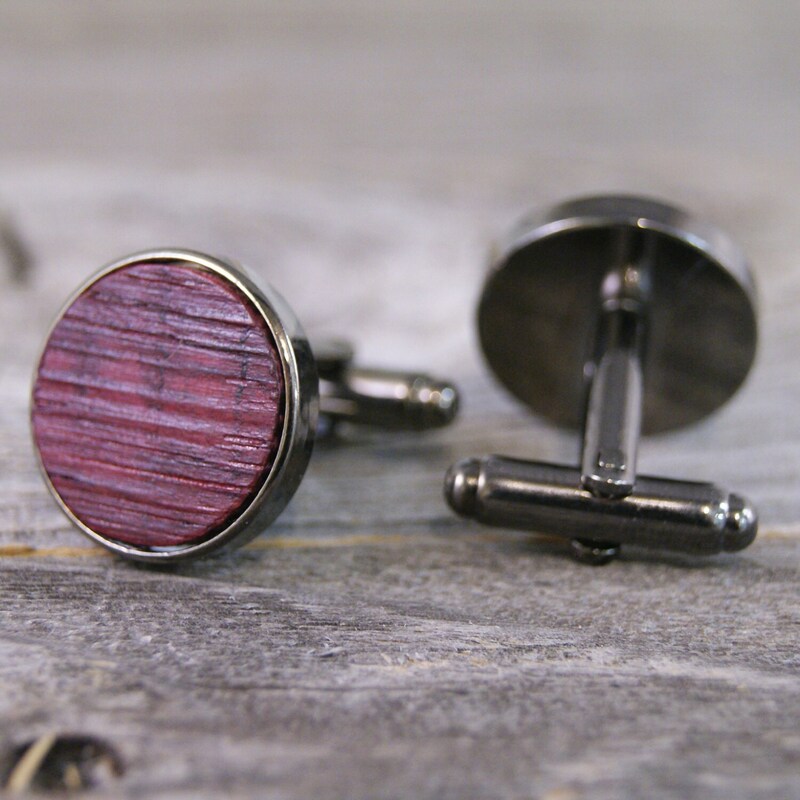 If you would like to see other views of these cufflinks or if you have any questions at all, please do not hesitate to ask. I try to return all conversations within a matter of hours. I also accept custom requests and engraving on some items. The storage box pictured is imprintable, so if you would like initials or a name, that can be done for an extra fee. If there is something special that you have in mind, please feel free to ask without any obligation, and we can discuss your options.